Twin color combination Rakhi Set along with Packet of Roli Chawal. 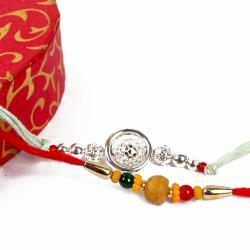 Rakhi is embossed with beads with a special om floral for your religious brother. Rakhi is the festival of Special love sharing between brothers and sisters in a very special way.. 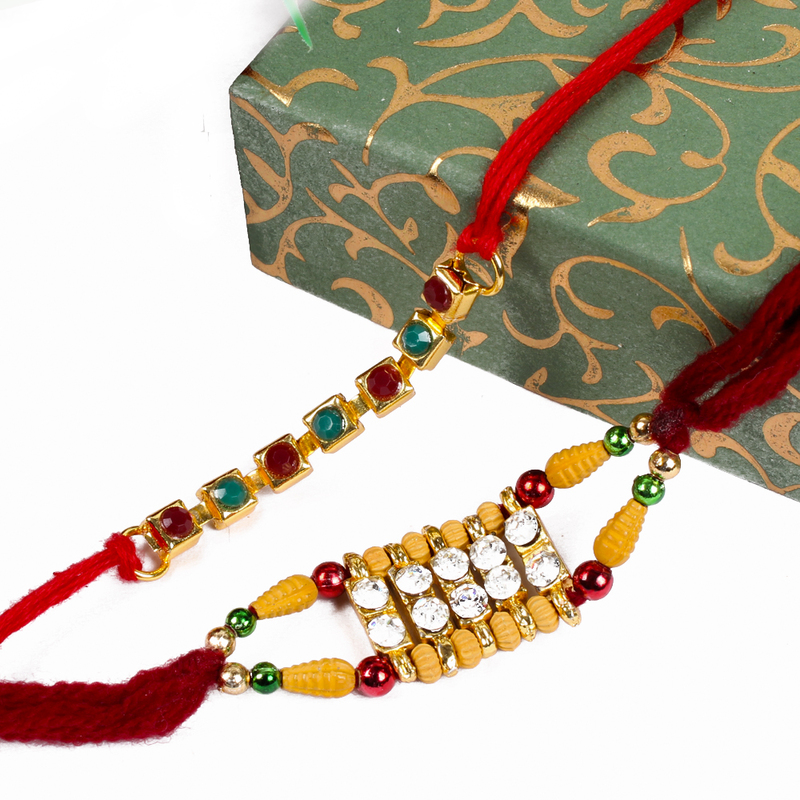 Gift such a complete combination of Golden Beads Rakhi to your loving brother with Roli Chawal. 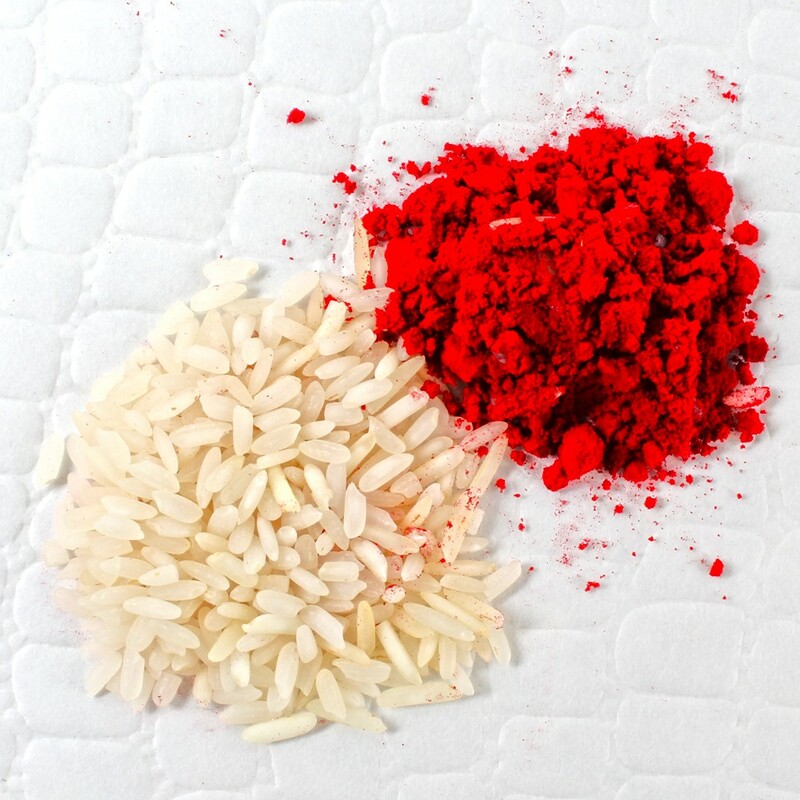 Roli Chawal which is a wonderfully traditional way to round off the gift pack. There is no other love like the love for a brother. Celebrate this raksha bandhan with this amazing rakhi. In this auspicious festival of Rakshabandhan, delight your brother by sending him this beautiful rakhi which is embellished by wooden stones with Golden work. This beautiful rakhi comes with glittering shine and fancy to look. The studded beads on the dial of the Rakhi give a very classy look which will catch the attention on all and will be appreciating for its design. 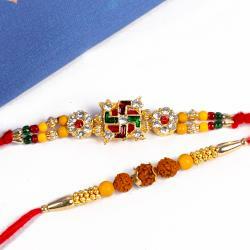 This beautiful Rakhi Design Rakhi with attractive golden stone work on thread, which looks very traditional and spiritual. Product Includes : Twin color combination Rakhi Set along with Packet of Roli Chawal.